While Thailand attracts more visitors than neighbouring Cambodia, there are an abundance of reasons why you should hop over the border and sample the delights of the Kingdom of Wonder instead. Here we list 11 delights Cambodia holds over Thailand. 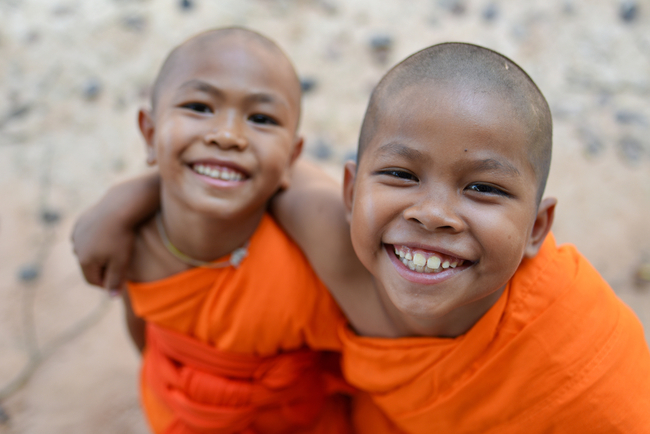 Thailand may well hold the official title of Land of Smiles, but the crown truly goes to Cambodia, where you’re never far from a happy face. Not to take away from the Thais, who are also gentle by nature, but Cambodians far outweigh their neighbours with their generosity, open hearts, kindness and welcoming manner — meaning visitors always feel at home. Yes, Thailand is cheap but prices have soared in the country alongside the rocketing tourism industry, meaning Cambodia wins in this category too. Beers can be found for 50 cents, street food for a few dollars, getting around is cheap and accommodation definitely won’t break the bank – even for a more luxurious bed for the night. Tell someone you’re going to Thailand and the chances are they’ve been before. Try Cambodia and the likelihood is way less. Although the Kingdom is becoming more popular, it still carries way more edge than Thailand, and visitors will definitely come back with more stories that will make their friends’ jaws drop than a visit to Thailand. Of course, escaping the maddening crowds at tourist traps such as Angkor Wat is pretty impossible. However, really getting away from it all is much easier in Cambodia than its neighbour. Fancy a remote desert island? No problem, hire a boat and head to one of the smaller islands off Sihanoukville for the day. Want some alone time in the jungle? Head to the Cardamoms. Fancy a temple almost all to yourself? Then go to Preah Vihear. Longer-term travellers and backpackers will find it much easier to stop off in Cambodia for a lengthy stint, thanks to the ease of getting visas. As with Thailand, 30-day visas are available on arrival. But in Cambodia, these can be extended extensively – for one, three, six or 12 months – without having to leave the country. Staying in touch with friends and family back at home, updating social media, streaming a movie or downloading some tunes are essentials for the modern-day traveller. Fear not because Cambodia has some of the best WiFi in Southeast Asia. Thanks to Cambodians’ obsession with the likes of Facebook and YouTube, WiFi is available almost everywhere, from coffee shops and restaurants to some buses. 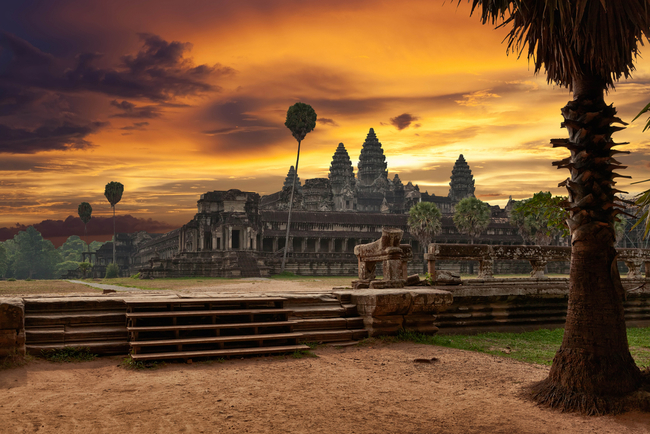 Cambodia is home to Angkor Wat – the world’s largest religious structure. Yes, today it may be over-crowded, but catching that first view of Angkor really takes your breath away. You’ll struggle to find anything quite as impressive next door. In the main tourist hubs, navigating this at times confusing country is made much easier by the fact that so many people – especially the younger generation – speak English. This means finding a tuk tuk, ordering your food or asking for information can be a much simpler task than in Thailand. While this changes when you head out into the provinces, you’ll still be hard pressed not to find at least one youngster who is happy to help you translate. 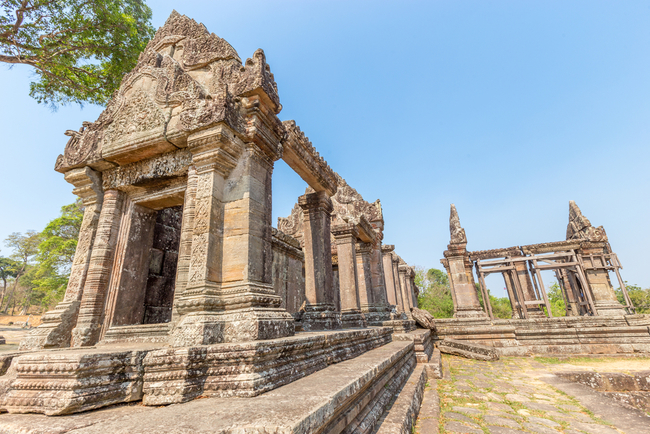 For those who like to get their haggling hat on, Cambodia is the place to be, because there are many more bargains to be had, if you like to play the game. Of course, foreigners are always going to pay more than locals. However, Cambodians are happy to lower their prices much more – and more quickly – than their hard-selling neighbours, making trips to the market a more money-saving outing in the kingdom. Cambodia is quite rightfully called The Kingdom of Wonder because there are many sights that will leave you confused, in stitches of laughter or in sheer wonder of what on earth is going on. 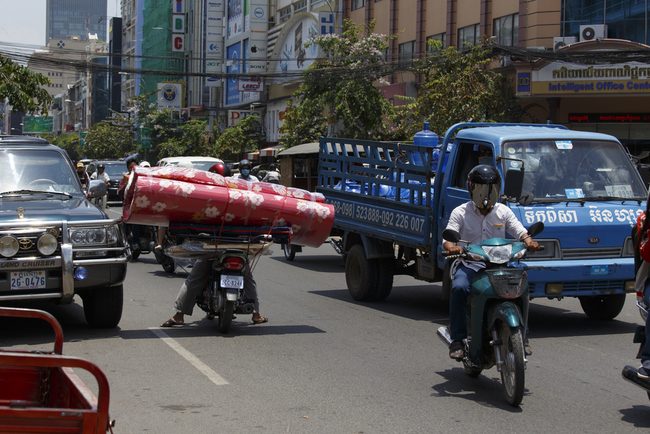 Families of six sandwiched onto a motorbike is common, bizarre signage, cringe-worthy adverts, dozens of chickens tied to the back of motos, tuk tuks spilling out with mattresses, beds, fish – you name it, it’s happening in Cambodia. Hurtling down bumpy back roads squashed into a car with eight other Cambodians, riding on the back of a motorbike through shin-deep water in the forests, chatting with indigenous tribes in the mountains or walking alongside elephants in the jungle is all possible in Cambodia, without having to make too much effort, thanks to the country’s compact size and increasingly improving infrastructure. It’s hard to put your finger on it – maybe it’s a combination of all the above and more – but there’s something truly special about Cambodia that leaves most visitors yearning for more. 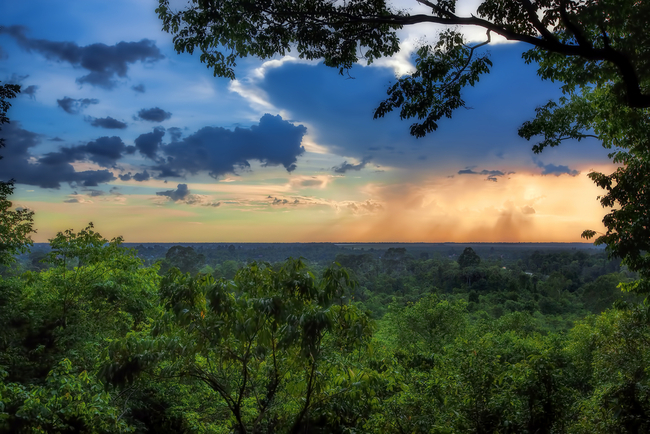 Whatever it is, magical Cambodia will steal a part of your heart.